"SF Alpha 3 is the game I played the most intensively ever." Bun-Bun-Maru: Your main character in SF Alpha 3 was V-ism Akuma, right? Daigo: Yes. I chose that for the nationwide tournament. The nationwide tornament of SF Alpha 3 was announced before the release, and top of that, there would be Japan-U.S. match and TV broadcasting. No game was given such a boost before that, so I thought "every fighting gamers in the country should be playing this." Like, regardless of whether the game was good or bad, they couldn't help but play this buzzworthy game. That was just during the summer vacation and I worked really hard on the game, but I couldn't help but feel scared, like "what if there're any players who have played more than I have?" Bun-Bun-Maru: Yeah, I know it. Really know it. 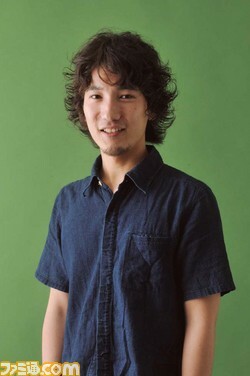 Daigo: It was like "I don't have time to leave even to have a meal." Toyoizumi3kyodai: You were sort of fighting against an invisible enemy. Kitaguchi: Like, "what if a hella strong guy would come from the heart of a mountain in Gunma(*)?" * A prefecture in the north of Tokyo. Being one of the prefectures in the Greater Tokyo Area, most of which is the Kanto plain on the Pacific Ocean, it's located center of the mainland and mountainous. Daigo: He sort of kept practicing alone. Bun-Bun-Maru: A guy secluding in a mountain. 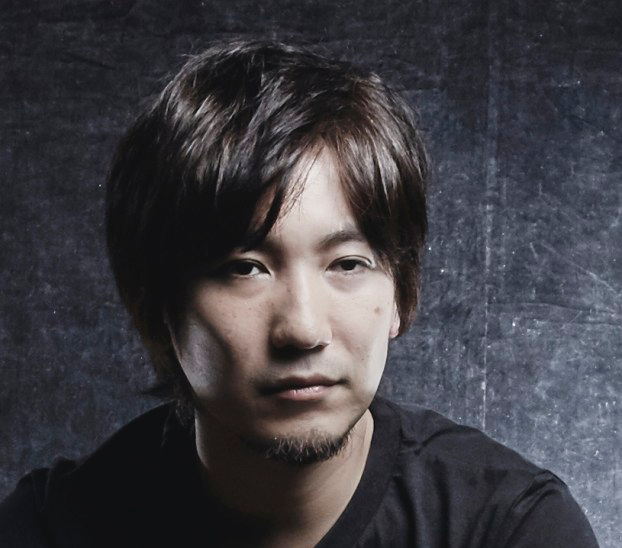 Daigo: Yes, like "what if there's a crazy guy secluding in a mountain to practice the game?" lol. So I played the game as much as I could. I also thought I had to choose the strong character and was trying to determine "which is the strongest" while playing. Bun-Bun-Maru: Hadn't you stuck to strongest characters before that? Daigo: I had chosen my characters based on how fun to use them rather than how strong they were. my game arcade fellows didn't like it as well. You know, we adjust ourselves to each other more or less. So, I chose Bishamon in Darkstalkers 3, like "oh well." Kitaguchi: I see. Being strong is not enough. But most of my game arcade fellows didn't play SF Alpha 3 and I didn't have to care about players I wasn't acquainted with. I thought the value those players and I shared was only "how strong we are." You could be praised for winning with a weak character, but I thought it was no use expecting such a thing from players I wasn't acquainted with... So I chose the character to win as many as possible. Looking back, that might be the only exception. I was looking for the one, like "whiiiiiiich is the strongest chaaaaar!?" and improving my playing style to lose as few as possible. Toyoizumi3kyodai: When did you start using V-ism Akuma? I saw you use Z-ism Akuma in the early days. Daigo: Yeah, I used to use Akuma in Z-ism. But I wasn't able to win against Nuki(**) and Baba-Demi(***) using Sakura at all. That being so, I didn't lose aganst the other players at all. But those two players would go out to the nationwide tournament, and, feeling "it should be a bad way to stick to this char," I switched to Ryu. Then I was able to win the two. And I thought "Ryu might be fine," but I was still worried, looking for a stronger character and finally found V-ism Akuma's great combo utilizing Custom Combo. As I've said before, we didn't have the internet and no body knew about Custom Comb well. Then I thought "the gold will be mine" lol. ** Shinya Onuki. One of so-called "the Five Gods of Fighting Games," who rivaled Daigo Umehara for a long time since the era of Darkstalkers 3. The stories about them can be read in the comic "Daigo the Beast: Umehara Fighting Gamers!" At the present, he's not a competitive player. *** A very strong old school player who is famous for his Demitri in Darkstalkers 3. Toyoizumi3kyodai: You have a point. I lived in the countryside and didn't know about it at all when going out to the tournament. Bun-Bun-Maru: I lived near you in Tokyo so that I could hear a rumor that "Akuma can hit great damage with Custom Combo," and thought "SF Alpha guys are majorly active." Toyoizumi3kyodai: I went out to Akihabara to see you play in the early days, and what I saw was you using Z-ism Akuma. So I thought like "Z-ism is probably the one in this game" lol. Daigo: That was probably in the very earliest days haha. Toyoizumi3kyodai: That's the way players in countryside without much information were. Bun-Bun-Maru: Like you believed it even though seeing it only once. Kitaguchi: Is SF Alpha 3 the game you worked hardest on in your life? Daigo: Timewise, I think that's SF II. I mean, I played it for a long period. But, for a certain period... that's SF Alpha 3. Bun-Bun-Maru: You mean, in terms of like "intensity"? Daigo: Yes. I think SF Alpha 3 is the game I played the most intensively ever.